In this three-and-a-half foot marble sculpture, a dying man nailed to rock is mourned by a naked woman kneeling in front of him. 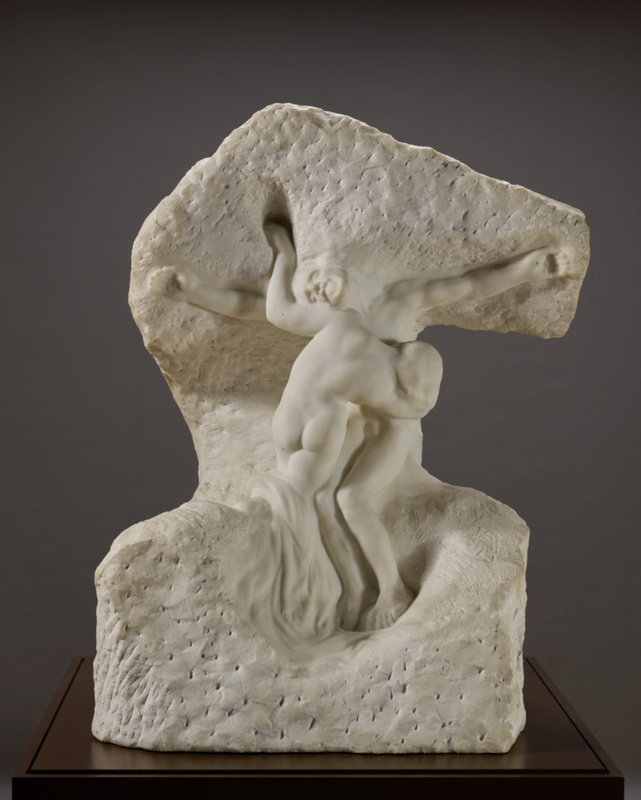 Auguste Rodin titled this piece Christ and Mary Magdalene, but he also called it Prometheus and the Oceanid and The Genius and Pity, opening up the composition to multiple biblical, mythical, and secular associations. These themes, mixing the sacred and the profane, relate to Rodin's conception of the creative life, which in his view inevitably involved suffering and martyrdom. 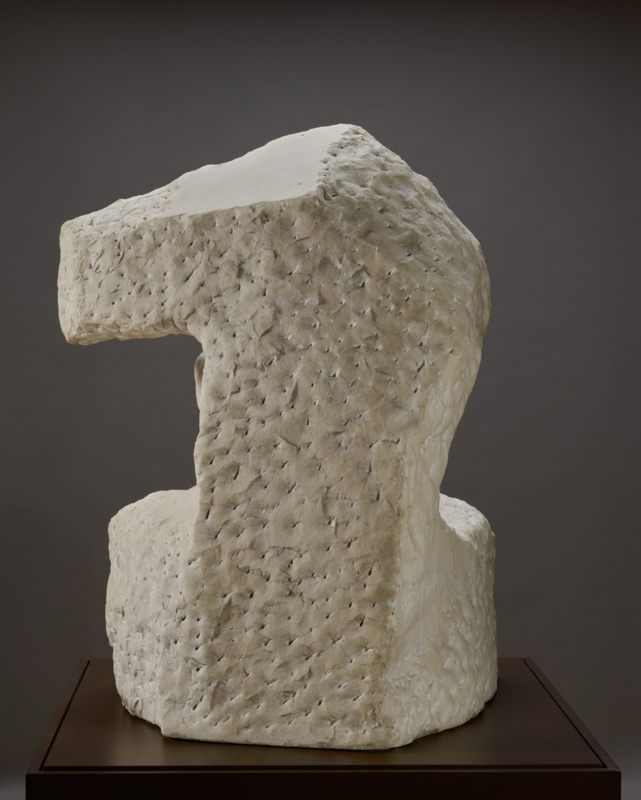 The compelling strength of this work results from the stark contrast between the highly polished surfaces of the naked flesh and the surrounding rough-hewn marble. Rodin admired Michelangelo's sculptures during his visit to Florence in 1876 and the artist's influence on Rodin can be seen not only in the unfinished parts of the piece but also in the dramatically contorted female body. 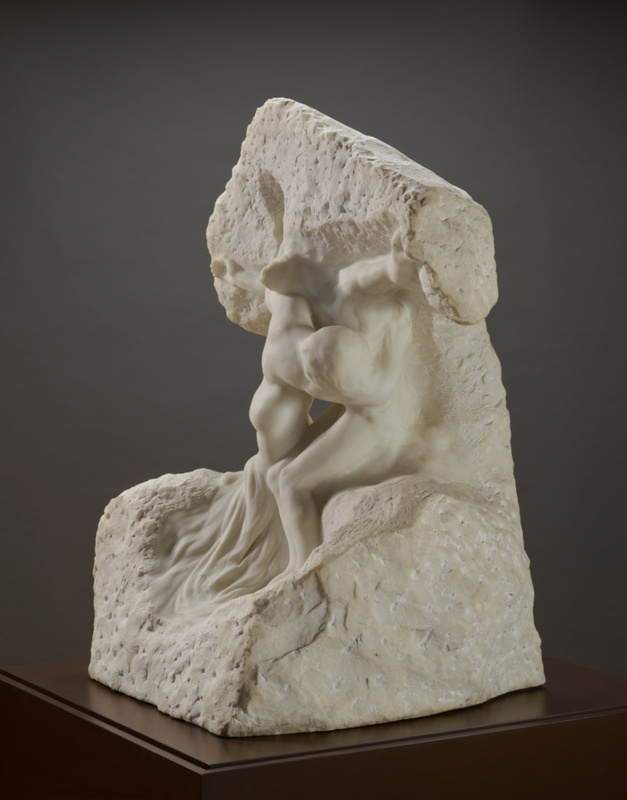 In order to keep up with the high demand for his work, Rodin routinely appointed talented marble carvers to realize his compositions in stone. 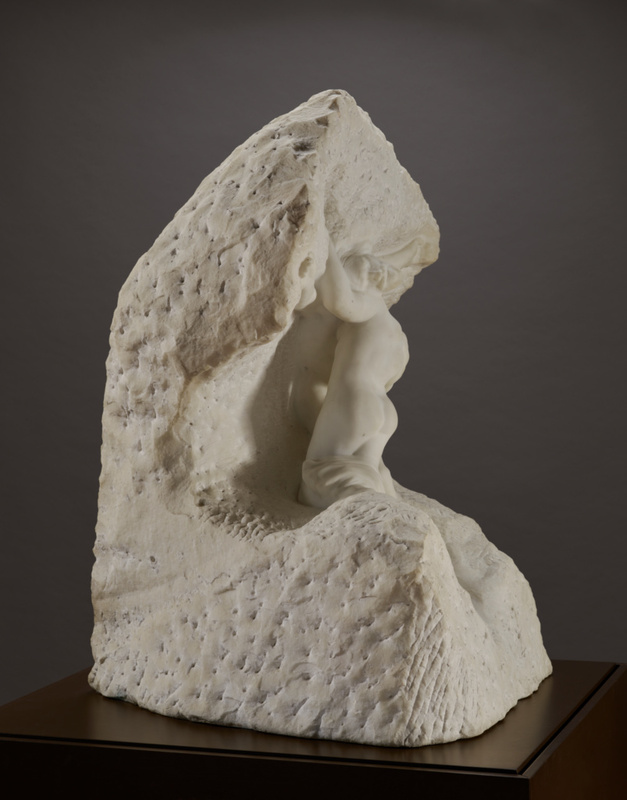 This sculpture was entrusted to Rodin's primary marble carver Victor Peter, a well-regarded artist himself, though Rodin oversaw the process, even drawing on photographs to indicate how he wanted details altered. Unlike most of Rodin's works, this sculpture was never cast in bronze and only one other marble version exists. Karl Wittgenstein, Austrian, 1847 - 1913 (Vienna, Austria), commissioned by him from Rodin in 1907, delivered in January 1909 (Vienna, Austria), by inheritance to his oldest son, Paul Wittgenstein, 1913. Bernardus Marinus Pon, Dutch, 1904 - 1968 (The Netherlands), by inheritance to his wife, Cornelia Clasina Pon-Parlevliet, 1968. Cornelia Clasina Pon-Parlevliet, Dutch, 1904 - 1980 (The Netherlands), by inheritance to her son, Mr. Pon, 1980. Mr. Pon, Dutch, (The Netherlands), unsold while with art dealers Simonis & Buunk, Ede, The Netherlands, 2012 - 2013; sold, TEFAF, Maastricht, The Netherlands, March 2013, by Pieter Hoogendijk, who had it on consignment, to Daniel Katz, 2013. Daniel Katz Ltd. (London, England), sold to the J. Paul Getty Museum, 2014.
de Caso, Jacques, and Patricia Sanders. Rodin's Sculpture: A Critical Study of the Spreckels Collection (San Francisco: The Fine Arts Museums of San Francisco, 1977), p. 94. Lenormand-Romain, Antoinette. 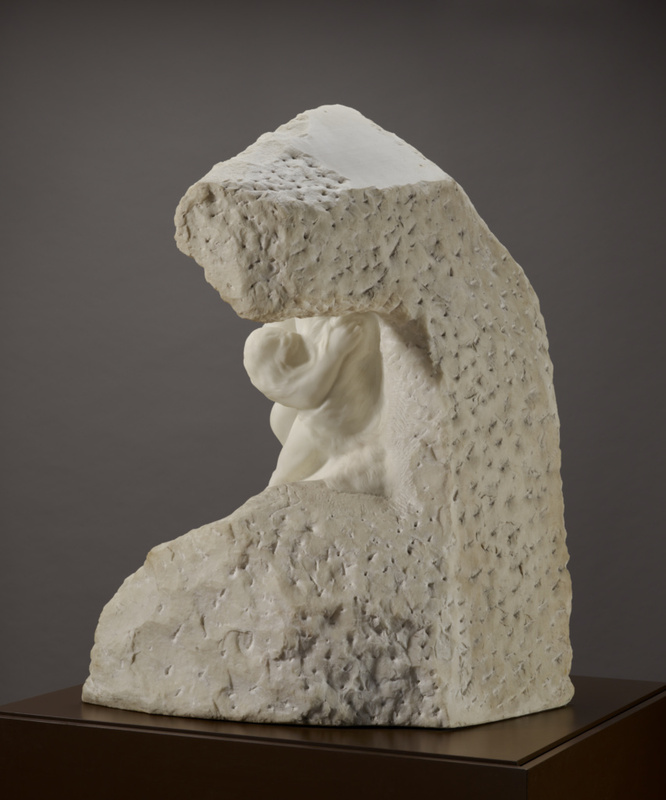 Rodin: les marbres de la collection Thyssen, exh. cat. 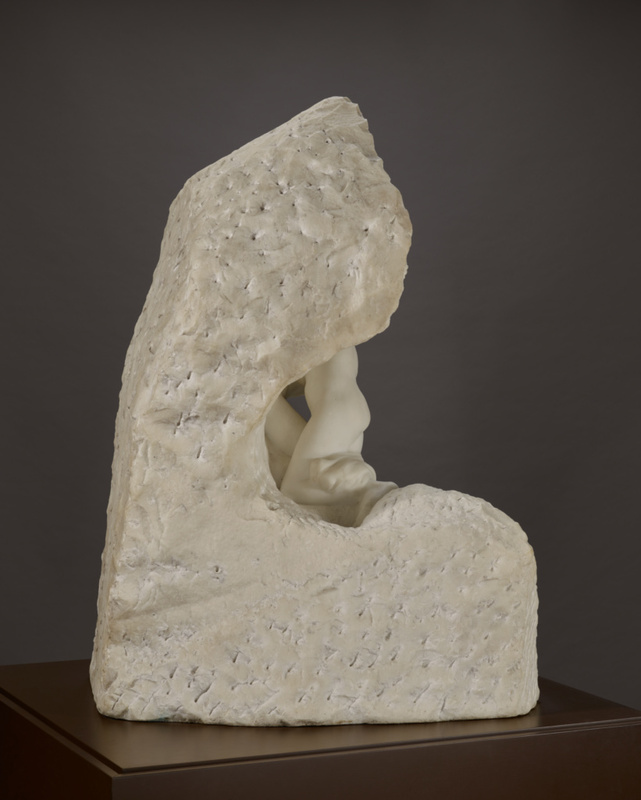 (Paris: Musée Rodin, 1996), pp. 80, 93, ill. p. 92. The J. Paul Getty Museum Handbook of the Collections. 8th ed. (Los Angeles: J. Paul Getty Museum, 2015), pp. 318-19, ill.